Define high-performance buildings and discuss the key design elements needed to achieve a high-performance building enclosure. Discuss the importance of continuous insulation and air and vapor barriers in designing a high-performance building enclosure. Discuss passive design elements that limit solar heat gain. Identify unique and diverse users and functions, and how they affect the design and performance of a building. The Detroit Zoological Society is one of the most sustainable zoos in the United States, recognized by the Association of Zoos and Aquariums for environmental leadership, earning their 2015 Green Award. The Zoo continues its commitment to sustainability with the recent addition of the Polk Penguin Conservation Center (PPCC). At 33,000 square-feet, it is the largest facility of its kind in the world and home to more than 80 penguins representing four species. The ultimate challenge to the design team of Albert Kahn Associates and Jones & Jones Architects and Landscape Architects was to create a single, high-performance building housing two very different environments … one for the penguins and the other for humans. This article provides an overview of what defines a high-performance building, key elements of a high-performance building enclosure design, and how high-performance design was applied to the PPCC. The Polk Penguin Conservation Center is a high-performance building that houses two very different users—a challenging enclosure design. As with nature, buildings have evolved. Now it’s important that buildings provide occupants with a place to comfortably work, play and live. Originally, buildings were designed with focus on their local climate and use of materials found nearby … designed in a holistic manner. Technology, specifically electricity, allowed us to break the cycle of designing a building that must relate to the surrounding climate. We could have an all glass house in the desert—air-conditioned all day, then heated during the night. We were free to do what we wanted with no fear of any consequences. The energy crisis of the 1970s changed this. And now, more than 97 percent of all climate scientists are sure we’re experiencing a climate change crisis. Architects and engineers are making changes too. Similar to a medical physician, our role as a professional architect or engineer is “do no harm.” We must design responsibly to create lower-embodied-carbon buildings. Luckily, both designers and building users/owners are starting to understand current issues. We are placing higher demands on buildings—particularly to conserve energy, reduce environmental impact and ensure user comfort. This shift in thinking has brought building design full circle, again placing focus on the building as a whole, rather than its various components. A high-performance building is achieved through a design process requiring the deliberate consideration and integration of many attributes. In addition, the building owner, design team and contractors all need to address the planning, financing, design, construction, and operations and maintenance of the building in a holistic and interdisciplinary manner. A multitude of definitions can be found for a high-performance building, but there are two key sources that provide excellent baseline definitions. 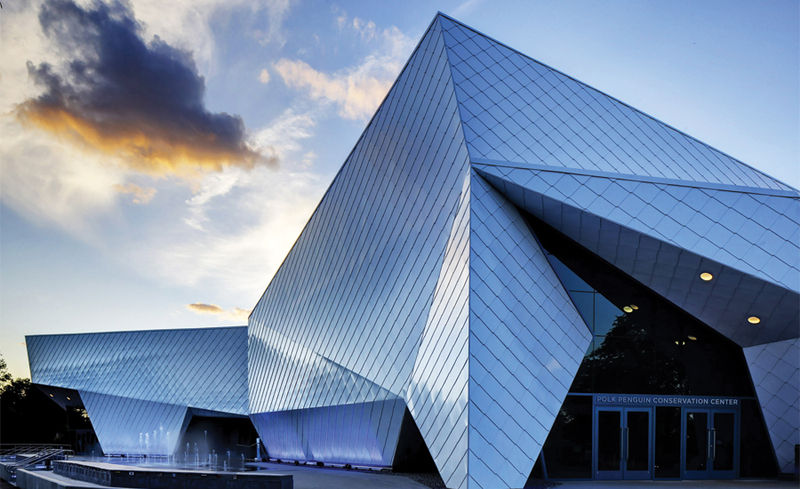 The National Renewable Energy Laboratory (NREL) is the only federal laboratory that is dedicated to research, development, commercialization, and deployment of renewable energy and energy efficiency technologies. NREL says “buildings that consume 50 percent or less of the energy of a comparable code-compliant building, while not sacrificing occupant comfort” is a high-performance building (National Renewable Energy Laboratory, 2016). Code-compliant means meeting whatever building criteria are currently required by the state and local jurisdictions for the owner to receive the certificate of occupancy. Architects and engineers should never assume code-compliant buildings are energy-efficient buildings. The U.S. Energy Independence and Security Act of 2007 was passed with a stated purpose “to move the United States toward greater energy independence and security, to increase the production of clean renewable fuels, to protect consumers, to increase the efficiency of products, buildings and vehicles, to promote research on and deploy greenhouse gas capture and storage options, and to improve the energy performance of the Federal Government, and for other purposes.” This Act provides a second baseline definition and states that a high-performance building is “a building that integrates and optimizes on a life-cycle basis all major high-performance attributes, including energy conservation, environment, safety, security, durability, accessibility, cost-benefit, productivity, sustainability, functionality and operational considerations” (U.S. Energy Independence and Security Act of 2007, 2016). In other words, it’s no longer about a single aspect of energy conservation—but it’s about how occupants use the building and how they are affected by the building in its entirety. It’s important to understand that having an energy-efficient building does not ensure the users are comfortable. For example, an industrial building located in the south that uses solar energy panels or high-efficiency boilers, but has no air-conditioning, will be very uncomfortable for the employees. When designing high-performance buildings, your goal is to keep in mind ALL aspects of the building: costs, operation and maintenance, its function and occupant comfort. Your goal is to design holistically, but the process to reach this goal is complex. Achieving a high-performance building is not a simple design process with basic solutions; it does not follow a simple checklist of a multitude of elements, systems and operations to design and construct. 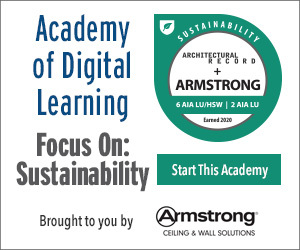 Yes, certifications like LEED may help with the process but they do not guarantee a high-performance building. To succeed, an integrated team of owner/operator, designer and contractor must agree on project goals and work together to design and detail the project correctly and construct, commission and maintain the building properly. A high-performance building is complex with many systems: the building enclosure, mechanical systems, lighting systems, plug loads and equipment operation—to name just a few. The enclosure design can have a number of systems and elements that can use passive or mechanically-active strategies to achieve higher performance and effectiveness. This article will touch on many systems, but focus on the building enclosure.